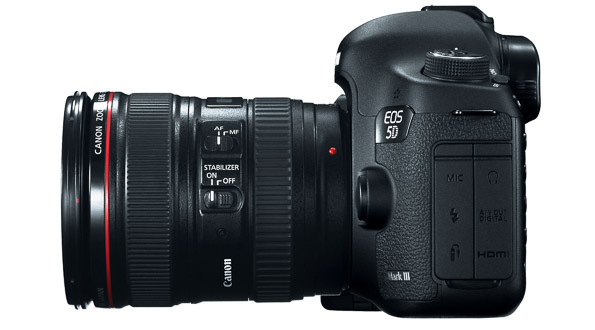 OK, I know the 5D mark-III is a dam fine camera, and for many it may be approaching perfection, but while I love my 5D-III there are still many aspects of the current Canon DSLR design that really infuriate me. Some of these are perhaps, more pertinent to landscape photography, but I’m sure will find empathy with any photographers who may have set up in those dark, early hours before sunrise, or have shoot at night. Some of my changes are features already present within other cameras, but missing from the mark-III, some could even be ‘fixed‘ by firmware updates but I know they never will. Canon USA seem to provide some method of feedback from their user base, sadly there seems to be no such facility or desire from Canon here in the UK. I guess you could call this my 5D mark-IV whish-list, but many of these will probably remain just pipe dreams. This I’ve mentioned in several other blog posts. However, the mere fact a camera of the 5D-III’s price and professional level does not incorporate an in-built eyepiece blind has to be a serious omission by Canon. Nikon owners have been supplied with an in-built eyepiece blind from many years, and I know of at least one photographer where this was an integral part of her choosing Nikon over Canon. Why Canon saw fit to omit this simple and inexpensive feature is simply beyond me. What makes this even worse is the awful rubber cover Canon provide attached to the strap which is totally inadequate. 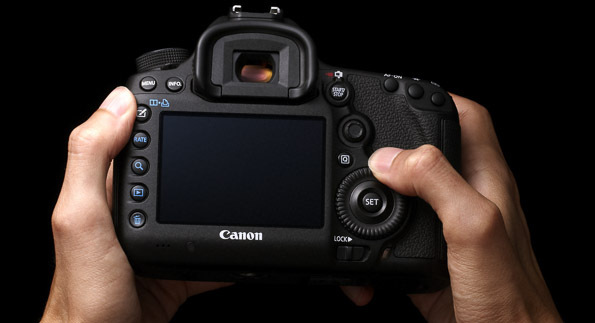 I hate the buttons on the 5D-III, most are just too tiny! Ok, I have banana fingers, but I’m not the only one! Whilst these buttons may be fine for studio work, just try using them halfway up a mountain in a freezing, winter wind. They’re almost impossible to use with cold hands, and you’ve got pretty much no chance whilst wearing winter gloves. I sometimes wonder if Canon ever test their cameras out side studios or not just in sunny weather? It would certainly appear that’s a rare occurrence. And why are ALL the buttons the same dam size? If you are fumbling around in the dark it’s just not that easy to feel which one is which. Why can’t they be different? OK, I know identical little buttons all in row may be ergonomically more pleasing to the eye and certainly more stylistically satisfying to the designer, but it would be so much more practical they incorporated textured or shaped surfaces, and were of varying sizes then we could feel which button is which in the dark or when your eye is up to the eye-piece. I much prefer analogue controls. Wading through menu screens I find unintuative and time consuming, especially when it’s a function changed as often as ISO. Which, lets face it, is the next most important parameter after shutter speed and aperture. I’d love to have another small dial, perhaps situated below the shutter button, or on the back at the top right like the Nikon D3X, both which sit nicely for the thumb or index finger, and can be easily operated when your looking through the view-finder. What would be even better would be the ability to assign any function to the dial and not just ISO. More analogue controls please! This functionality has been requested on online forums and a multitude of review websites for several years, but somehow always seems to fall on deaf ears at Canon. There is still no dedicated mirror lock-up button. If you’re a Landscape photographer, use a tripod or shoot with long lenses, then you’ll know how important locking the mirror up can be to prevent vibration. It’s even suggested in the Canon User Manual. It’s about high time we could achieve this with just the touch of a single button. I have the TC80-N3 remote timer which I use frequently for long exposures, and like many other photographers, I often use the Lee Bigger Stopper which can result in exposure times of several minutes. Why then is it only possible to set a maximum shutter speed of only 30 seconds in camera? This is absolutely bonkers. I can see no other possible reason for this other than Canon forcing you to buy another vastly overpriced accessory. Surely all that can be achieved using the TC80-N3 can be done in-camera, and all that would be needed is a simple firmware upgrade? This really is an absolute no-brainier. The rather expensive GP-E2 GPS receiver. If you buy a smartphone or a point and shoot camera these days, you’d expect in-built GPS as standard. In fact It’s been a pretty regular feature in these devices for quite some time. 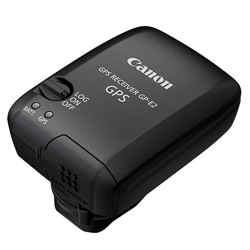 Sadly to achieve automatic GPS encoding to your images files in the 5D-III requires purchasing the rather expensive, hotshoe mounted, BP-E2 GPS receiver. Whilst this is no doubt an impressive device, it currently retails for around 230 quid in the UK, and cost well over £300 more when first released. I’ve got one of these (thankfully obtained whilst on a half price offer), but I still hate the fact I have to have an additional device, one that needs additional batteries, requires me to remember to switch the dam thing on, and sticks out clumsily from the hotshot. I’m not really interested in recording GPS logs, or viewing the compass bearing display; I really just want co-ordinates encoded in my images files and I want this in-built in my camera … is too much to ask for? Plenty of space for more User Settings on the Mode dial. 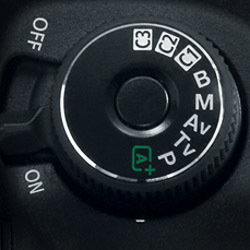 Prior to the 5D-III the custom user settings (C1, C2 & C3) on Mode Dial where pretty much useless. Every time your Camera switched off, they would revert to their programmed settings, rather than remembering the last used setting, and lets face it, I’m pretty sure most of us leave the Auto Power Off set at the default of 1 minute to maximise battery life. Thankfully now you can set Custom Shooting Mode to Auto Update, so C1, C2 & C3 are a much more practical proposition. Now you can have starting settings for Lansdcape photos assigned to C1, Wildlife to C2, and Portraits to C3, or whatever takes your fancy. But why just 3 User Settings, why not 6, or even better, C1 to C9. I could easily think of many more settings I’d use and there’s plenty of space on the 5D mark-III Mode Dial. We also need the ability to set Auto Update for each individual setting too, not a global setting. I’m sure we all don’t use ALL the buttons on the back of the camera. I seldom use the Rate button, and never use the Picture Style button and if I could would much prefer other functions I find more usefull be assigned to them. In fact, I see no reason why we can’t reprogram all the buttons as we wish, and place functions where we want them to be. We’re all taught how important it is to check the histogram. But although it’s easy hit the Playback button and review your image on the LCD, you are still required to press the Info button twice to get to the histogram display, then twice more to return to your image. What’s missing is an option to see a full screen image and histogram together, ideally with a small representation of the histogram overlaid in one corner. This is possible in Live View mode but not in Playback mode …why? And how about enabling the Multi-controller to reposition the histogram if necessary? Both I assume, could be achieved now through a firmware update, but I won’t hold the horses. I’ve used this feature on my EOS 100D so I’m pretty sure we will see this functionality introduced to the next incarnation of the 5D and indeed all future new cameras. We’ve all become so accustomed to touch screens on our smart phones and ipad devices that using the same gestures on the camera screen seems pretty much a natural thing to do. I loved pinching to zoom and swiping to scroll in review mode, and touch to focus in Live View is simply amazing. When I go from my 100D to my 5D-III I often find myself inadvertently tapping the screen. Plus anything that provides an alternative to the rather awkward, multi-controller, joystick contraption is very welcome from me. Well there’s my 10 changes I like to see, but as you can probably tell from my rhetoric I don’t hold much salt at seeing them actually implemented by Canon. But I live in hope. I wonder if anyone else has agrees?